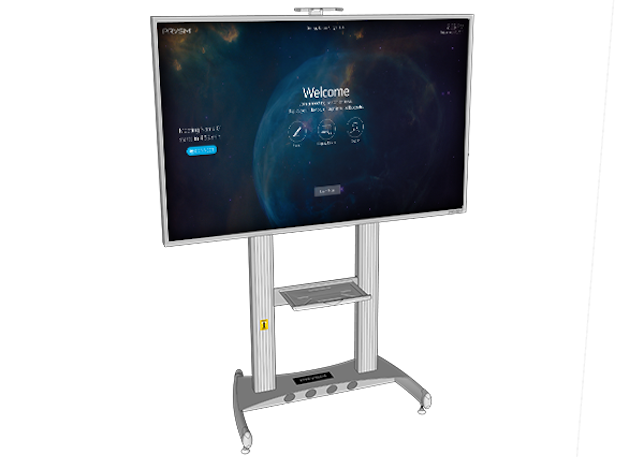 The new Prysm Go experience can be used with Prysm’s 85-inch 4K LCD display and stand pictured above. Images courtesy of Prysm. Prysm, a digital workspace platform, Tuesday unveiled a new system that can turn any meeting room into a multi-purpose collaboration space. 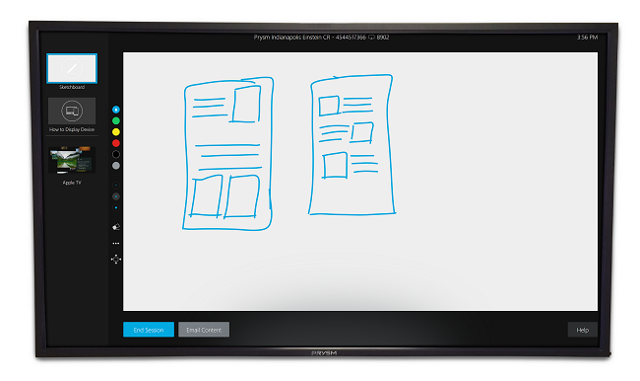 Users can quickly sketch their ideas on the digital whiteboard, customizing pen colors, brush-strokes and more in Prysm Go. Using Prysm Go, meeting attendees get one-touch access to digital whiteboards, allowing them to draw diagrams, add notes and more. Wired or wireless screen sharing capabilities allow multiple attendees to share their laptops or mobile devices via HDMI, Apple AirPlay or Google Chromecast. Additionally, Prysm Go integrates to existing videoconferencing platforms from Cisco, Polycom and Logitech, with Skype for Business coming soon, according to the company. Prysm Go can be deployed in any IT environment, the solution brief states. It can be used with existing displays and hardware, or paired with Prysm’s 85-inch 4K LCD display and stand. MSRP for the Prysm application is $5,999, while the all-in-one display and software and solution is $19,999. Prysm Go is now available. Learn more on the Prysm site.